Happy clients and great testimony equals one happy wedding photographer. "Thanks Neil, me and Territa are delighted with these. Picking favorites is difficult as there are so many excellent ones, thanks once again for a fantastic job making our day extra special"
You can't beat great testimony when choosing your wedding photographer. 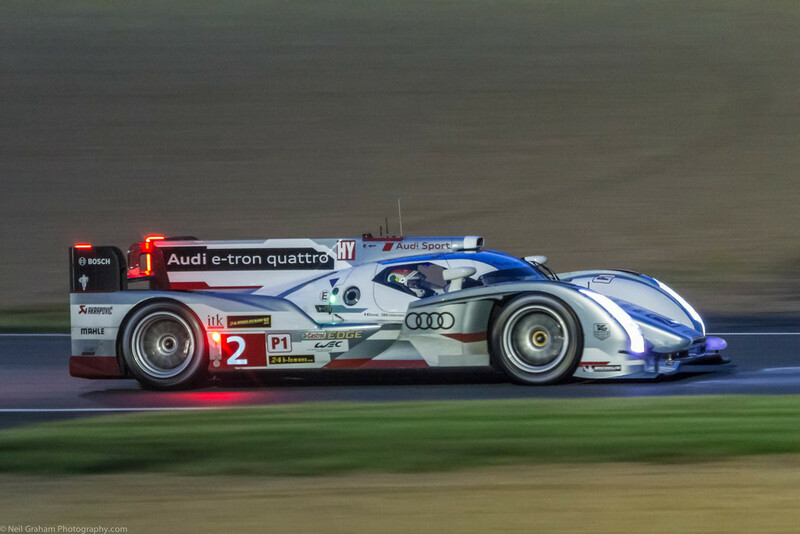 A couple of followers on Google plus ask me how I obtained a crisp photo of the winning Audi LMP 1 car at the 2013 Le Mans, I thought I'd put together a quick check list of what I do for my night time panning shot. My Gear- Canon 60d and Canon EF 70-200mm F2.8 IS USM Mk 1. Click for technical data. 1. Try to find a length of straight with flood lights or perhaps an entrances or between corners, the main reason for this is it provides you with a consent light source and at corners you have cars bunching up which provides light from behind. In a way the flood lights becomes your key and car headlamps become your fill light at ground level. 2. I always shoot to the right of the histogram in Raw which seems to allow more information to be captured by my APC crop sensor in my Canon 60d. By coincidence, +Martin Bailey of Martin Bailey Photography recently produced a podcast #381 about shooting to the right and Martin explains it in more technical detail and much better than I could so it's worth heading over to Martin's website or iTunes and have a listen. 3. Test shots, to set up your camera and don't rush because they will come past again and again. You also can test your panning technic, I stand with feet firmly planted to the ground and rotate my hips as smooth as I can, plus I tuck in my elbows tight to reduce my own nature shake. 4. Always aim for a correct in-camera exposure, which will give you more room in post processing to recover highlights and open shadows up. I try not to go over ISO 3200 on my Canon 60D but I'd rather have the correct exposure in camera than under expose and recover in Lightroom 4, so I will go above ISO 3200 if required. It's better to smooth the noise in Lightroom 4 with a correct exposure rather than under expose, then increase your exposure in LR4 as this only produces even more noise to deal with as you push it higher. 5. I use the centre focus point on my camera for the best sensitively during focusing and the lenses set on stabiliser 2 for side to side movement. 6. As mentioned before if you find a straight which you can access safely with subjects only moving from left to right, this will help your camera to focus quicker. If the cars are coming at you then away fast, the camera not only has to track the target towards you, then the camera has to move focus, this is one of hardest things for your camera to do, especially in dark conditions. 7. Put your camera in high continuous, Al Servo. I can guarantee that not every photo will not be in focus, as I found in a set 8/9 burst, only number 3 and number 7 would be in focus. I would set up to take 8/9 photos and only expect 2 photos to be useable. For me this is not a bad ratio of return. I also delete the others to save space on my hard drive space. Some photographers say never delete any photos, the choice is yours. 8. Normally all of my photos are hand held because as a normal paying customer at the motor racing there is not enough room for a big set up, but I if remember correctly this time my camera was mounted to a tripod, because I was making a video and this did reduce my up and down movement. Below I have all of my camera settings and my post processing setting in Lightroom 4, plus the before and after photo. This is a 50% Jpegs of the CR2 original before processing in Lightroom 4. Temp 3800 (Fluorescent) Tint +21 , Exposure +30, Contrast 0, Highlights -41, Shadows +62, whites 0, Blacks 0, Clarity +44, Vibrance +20 and Saturation 0. No Curve, no HSL, no Split toning. Normal Lens Corrections with LR4 Profiles and Colour. The winning number 2 Audi LMP1 at Le Mans 2013. Click on the image to view more audi photographs. I hope this short summary helps you with you're panning shots at night. Again, it does show me using my prosumer camera you can still produce some very good photos.